In South America, Cuba, and other Latin countries, yuca, the edible root of the cassava (or manioc) plant, is used in the same way potatoes are prepared as in this yuca fries (yuca frita) recipe. Yuca fries are always cut into thick wedges as opposed to thinner French fries, which makes them crispy on the outside and soft but densely textured on the inside. You can buy fresh yuca root or frozen yuca that is already peeled and either one works well for this recipe. Serve yuca fries with aji chile pepper sauce or huancaína (spicy cheese) sauce for dipping. If using fresh yuca, peel the yuca, cut into large pieces, and remove the fibrous inner core of the root. Bring a large pot of salted water to a boil and cook yuca until it starts to turn translucent and can be pierced easily with a fork, about 20 to 30 minutes. Drain thoroughly. Check yuca for any remaining fibrous pieces and remove them. Cut the yuca root into thick rectangular wedges. Heat 2 inches of vegetable oil in a heavy frying pan over medium-high heat. Once the oil is hot (ideally 350 F), fry the yuca in batches, turning occasionally, until golden brown. Carefully remove yuca from pan with a slotted spoon or wire skimmer and place onto a plate lined with paper towels. 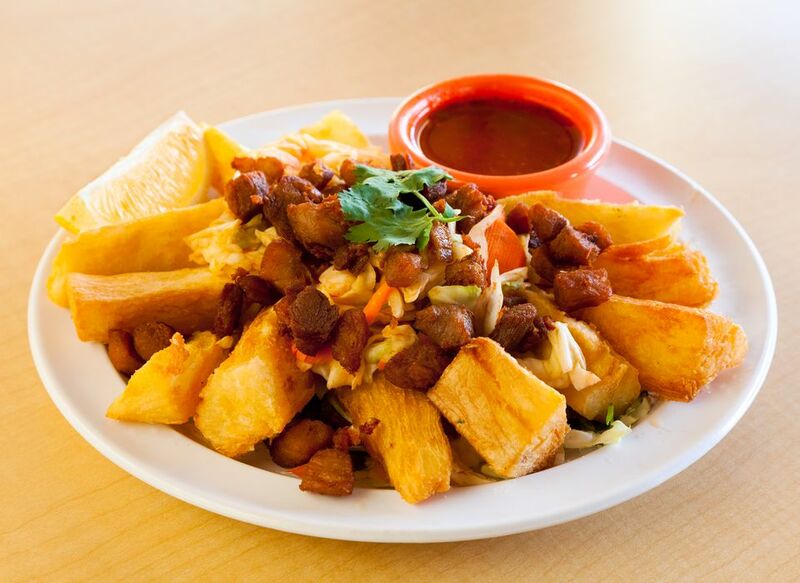 Sprinkle yuca with kosher salt and serve hot with aji chile pepper sauce or huancaina sauce for dipping. For optimum flavor, when deep-frying yuca, it is best to cut it into thick wedges rather than sticks so the exterior crisps and the interior stay moist and dense. Yuca has a unique starchy flavor and more fibrous texture than a potato. Don't limit your yuca preparations to frying. It also is tasty when mashed, boiled in stews or made into croquettes.